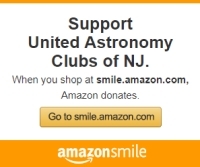 Amateur Astronomers Assoc. of Princeton, Inc. If you do not see your club listed here and you wish to use the UACNJ facilities at Jenny Jump this year, please contact your club's leadership and ask them to join UACNJ.